KUCHING: The four-component Sarawak Baru coalition has set up its presidential council with Cobbold John as the first pro tem chairman. Sarawak Baru has designed and agreed to a party logo and now it is in the midst of applying for registration as valid political party. 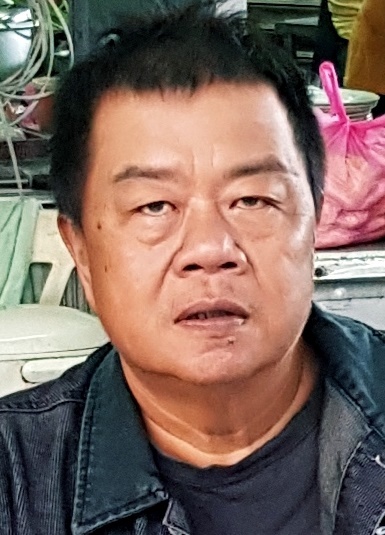 Cobbold who is also Parti Bansa Dayak Sarawak Baru (PBDSB) president, said the pro tem vice chaimen are Lina Soo who is the president of State Reform Party Sarawak (Star), Banyi Beriak who is secretary-general of Parti Tenaga Rakyat Sarawak or Teras and Munan Laja who is the president of Sarawak Workers Party or (SWP). He also named PBDSB Youth secretary Julius Enchana as Sarawak Baru’s pro tem secretary-general and Star treasurer Chieng Lee Ping as the coalition’s pro tem treasurer-general. “The pro tem presidential chairman post will rotate among the four presidents of PBDSB, Teras, Star and SWP. This will continue until registration with the Rsgistrar of Societies is finalised,” Cobbold said in a press statement today. As Sarawak Baru is a coalition of parties, therefore its registered “members” are the four components. Sarawak Baru has also agreed that each of the four parties undertake tasks they are very familiar with or specialised in. “For instance Star is assigned to study and compile issues relating to Malaysia Agreement 1963, Sarawak’s rights including over oil and gas resources, Territorial Sea Act 2012 and Petroleum Development Act 1974,” he said. He said Soo, who is also a state’s rights activist, is very much familiar with these issues. “We believe that she and her team can handle these issues well,” he said. “PBDSB has been assigned to handle issues relating to native customary rights (NCR) on land, Dayak Adat and other Dayak related issues,” Cobbold said. SWP has been given the task of tackling issues regarding workers rights, interests and well being in Sarawak, especially in the oil and gas industry, oil palm plantations and construction sites. “SWP is also tasked to study the Sarawak Labour Ordinance which we feel has many outdated provisions that need to be updated or amended to meet the current and future demands and challenges in the labour market,” he said. Cobbold said Teras has been asked to look into and address issues relating to infrastructure development in Sarawak, particularly in the rural areas. With the setting up of the presidential council and special working committees, Cobbold said he hoped Sarawak Baru will be flexible and at the same time make the four component parties to be more focused towards its vision and objectives. He is confident that Sarawak Baru will pose a strong challenge to Gabungan Parti Sarawak (GPS), Pakatan Harapan Sarawak and/or Barisan Nasional in the next state election.